Is Your Law Firm Website's Call to Action Working? Here’s a hint: if you don’t know what a Call to Action is, the answer is no. Step one is to make sure your site is well-optimized to garner maximum hits. If you don’t know anything about search engine optimization, find someone who does. Otherwise your website will just sit there and not generate enough traffic to power even the most persuasive CTA. Step two is to grab attention. Make the CTA a different color or larger size, use animation or graphics, place it center-page and above the fold, surround it with ample white space. In many respects, a CTA is like any other form of marketing. It should be catchy and interesting. Where it differs is its immediate, on-demand nature. Imagine someone has just read a review of Bob Dylan’s new record and wants to buy it. Right now. Back in the day they would race to Peaches or School Kids. No longer. Today’s consumer wants to be able to seal the deal right then and there, with a few simple clicks. Chat features on websites are not ideal, Palmieri says, because smart visitors know they won’t actually be chatting with you. And contact forms aren’t immediate enough. Keep it simple. Don’t make visitors jump through hoops. A complicated or confusing CTA will drive them away. In the retail world, the creation of the “Buy Now” button was a game changer. Provide mobile access. Make sure your site is viewable on smart phones, tablets and other portable devices. Add a calendar function. This might be logistically or financially difficult. But the idea is to allow visitors to schedule a consultation on their own and immediately. Communicate the benefits of a quick response. 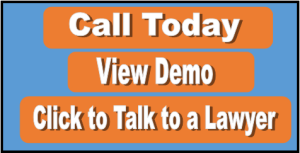 Tell potential clients why it is in their interest to contact your law firm without delay. Use active voice and strong language. Take a cue from bumper stickers. Put a Call to Action on every page. Don’t limit it just to your homepage. Don’t pry. People are reluctant to provide personal data or too much information online. Run it by the State Bar. Make sure you don’t include anything on your site that runs afoul of ethics rules on advertising and client solicitation. Ask for help. Visit our risk management resource center.